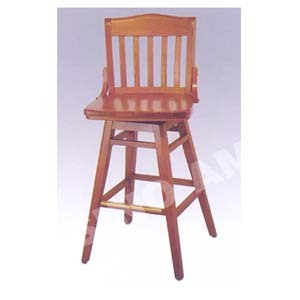 Commercial Grade Swivel Bar Chair In Natural Finish With Wood Seat. Strong Construction. Easy To Assemble.